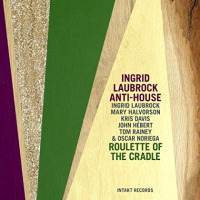 The fact that Ingrid Laubrock's Anti-house is an established working band is borne out by the degree of trust the German saxophonist places in her world class cast of collaborators. But even though she doesn't put in an appearance until part way through the second track, her imprint is all over the outfit's third release, which builds confidently on the success of its predecessors; the first outing of the same name (Intakt, 2010) and Strong Place (Intakt, 2013). 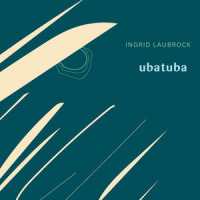 Laubrock has confirmed herself as a significant presence on the NYC scene, through both sidewoman dates, of which her tenure with Anthony Braxton is only the most illustrious, or participation in vital collective endeavors such as Paradoxical Frog's Union (Clean Feed, 2012) and LARK's eponymous debut (Skirl, 2013). Laubrock favors an opaque compositional style whereby the framework isn't apparent but the sense of organization nonetheless is. That's well illustrated by the title cut in which rhythm, notated material and improvisational space zips around the band like a Ritalin fuelled game of pass the parcel. 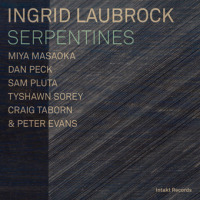 Laubrock often pitches one part of the group against another as in the nervy "Face the Piper, Part 2" where a feature for Mary Halvorson's wiry guitar, in tandem with the superlative team of drummer Tom Rainey and bassist John Hébert, is goosed by the interjections of the leader's soprano saxophone and pianist Kris Davis. Or "Silence ... (for Monika)" where guitar and chimes alternate with bass and piano, before guest Oscar Noriega's clarinet sketches a poignant air. As must be obvious from even those short descriptions, a blowing vehicle this ain't. "That's All She Wrote" is just the most stark example of this trait, as Rainey's introductory heart beat tattoo gives way to first spidery then raucous guitar, which is finally accompanied by Davis' crashing piano clusters. 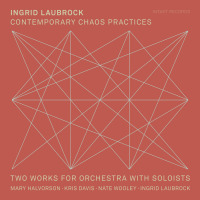 Such design and partitioning serves to emphasize the orchestral approach Laubrock takes to the resources at her disposal. She similarly deploys Noriega in an artfully precise manner, as he briefly intertwines with her tenor saxophone on ..." and Light (for Izumi)" before spiraling interplay with Halvorson's insistent tremolo. Any solos tend to be concise and fully integrated into the fabric of the music. Davis' most expansive work can be heard on the involved title track, introduced by her minimalist plink plonk, before she adds dashing runs and hyperactive lines which slip in and out of unison with Halvorson's guitar. Laubrock is at her most expressive on the edgy "From Farm Girl to Fabulous, Vol. II" where a rocky guitar driven passage prompts her into gritty tenor saxophone skronk. Each cut abounds with abrupt switches in mood and tone delivered with such aplomb and invention that rather than seeming forced, the changes take on an aura of inevitability. Such richness means that there is delight to be found in close attention to the detail and each encounter reveals more of the underpinning without completely explaining the magic. Track Listing: Thats's All She Wrote; Roulette of the Cradle; Face the Piper, Part1; Face the Piper, Part 2; Silence... (for Monika); ...and Light (for Izumi); From Farm Girl to Fabulous, Vol.II; Red Hook. 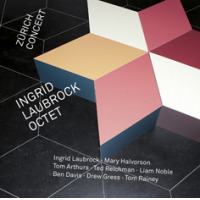 Personnel: Ingrid Laubrock: sassofono (tenore e soprano); Mary Halvorson: chitarra; Kris Davis: pianoforte; John Hébert: contrabbasso; Tom Rainey: batteria; Oscar Noriega: clarinetto.